I don’t know what it is with asylums that attracts me so much. Is it the horror of treatment? The mental illnesses? The big question of how they will get out? Will they be able to escape? Whatever it is, asylums make for great settings in a book. Wildthorn was no exception. Louisa is a little different than the other girls of her age. She wants to be a doctor. Everyone in her family thinks she is being ridiculous, as doctor is clearly a profession only for men. Louisa should concentrate more on finding a suitable husband, and getting ready to start a family. A few months after the death of her father, she finds herself locked away in an insane asylum. Who sent her here and why? And more importantly, how will she get out? A common theme in fiction set in the Victorian age is feminism. More often than not the main female character rebels against the set role for women, namely motherhood. What I found interesting in Wildthorn is that even though Louisa rebels against the prejudices, she is no revolutionist. She doesn’t want to change the world, call all women to arms, overturn the world’s thinking. The only thing she wants is to be left alone, so she can pursue her dream and become a doctor. Her goal is a personal one. She doesn’t resent other girls for wanting to marry. She just acknowledges that it’s not right way for her. I thought this was very well done, and I admire Ms. Eagland for taking this road, and writing something believable, something that might have actually happened a few hundred years ago. Louisa is a likeable character. I really felt for her. With flashbacks set at a regular interval throughout the books we learn about her past, everything that has happened to her the past years. I though it was very interesting to read about these events in first person, instead of just being told “hey, five years ago, this happened!”. If I would have been in her shoes, I probably would have handled everything the way she did. A fair warning, this book is not for homophobes. Please don’t read this book if you’re against lesbian romance. Or if you’re against the gay “lifestyle”, like most homophobes put it. Don’t get me started on homosexuality being a “lifestyle”, I can rant about this all day. So I’ll just give you a warning. There is a romantic plot, and yes, it’s between two girls. Deal with it. It would be such a shame to let your prejudices stand in the way of this great book. 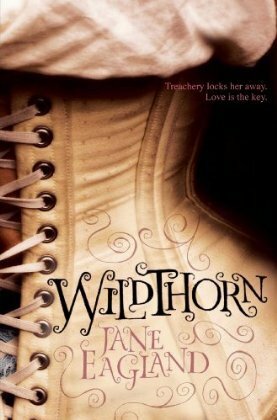 Wildthorn is a very quick read, and a very exciting one. As Louisa slowly unravels the secret of her incarceration, her situation becomes more and more bleak. This book might not be that suitable for the faint of heart. Life in an asylum just isn’t roses and sunshine, it’s brutal and unfair. Especially towards the end of the book, I couldn’t stop reading any more. And when the ending came, I could finally sigh a content sigh. The ending is sweet, cute, and everything it should be. I definitely recommend this book for anyone that likes historical romance in young-adult form. I think fans of Sarah Waters’s Fingersmith might enjoy this too.